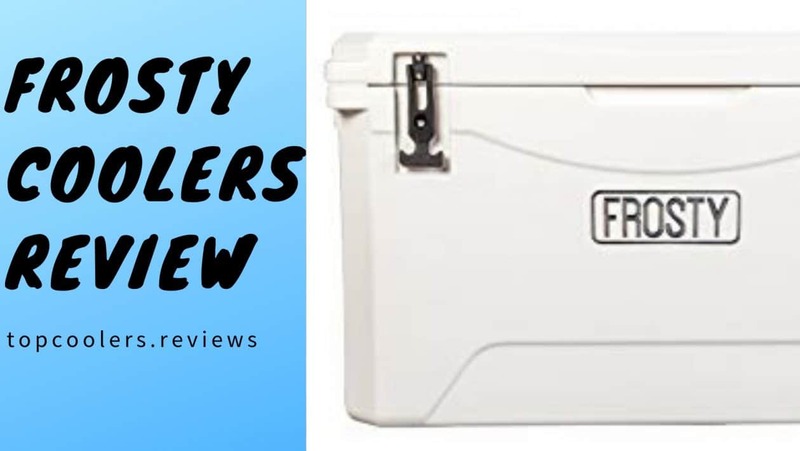 Frosty Coolers Reviews- A Comprehensive Breakdown Of "Innovation"
Frosty, St. Louis, the MO-based company is a new entrant in the Cooler Sector. Frosty deals in coolers and Tumblrs. With a small array of the product line up, Frosty offers a strong and superior cooler and Tumblrs. To compete with the big brands in the Cooler Sector, Frosty Coolers does not ask for high prices yet their basic features are similar to those of high-end brands. Frost has an impressive array of product line especially when it comes to Hard Sided Coolers. Apart from the Hard-Sided Coolers, Frosty deals in Tumblrs and Accessories. Whether you are looking for any hard-sided coolers or Tumblrs or even accessories, you will definitely find your product at Frosty. If you are looking for the soft-sided Coolers, Frosty might disappoint you. We have already informed you that Frosty deals in Hard sided coolers. Under the category of Hard Sided Coolers offered by Frosty, one can find different options that have different storage capacities to choose from. Currently, Frosty deals in Frosty 25, Frosty 35, Frosty 45, Frosty 55, Frosty 65, Frosty 75, Frosty 85, and Frosty 120. What is missing is that Frosty does not deal in Soft Sided coolers. So, if you are looking for Soft-sided coolers, Frosty has not got you covered. For more models click here. Frosty Ice Chest does not offer any unique and premium features but what they offer is definitely worth mentioning and describing. Let’s get to know about the interesting part of Frosty Coolers. Rotomold Construction – Frosty Coolers offer a rotomolded construction design that gives it a superior and tough look. The Rotomold Construction is a priority when you are looking for a cooler. No matter whether you go for hunting, camping, fishing, you will find Frosty Ice Chests never leaving your side. Thick rubber gasket – Besides the tough design it offers, thick rubber gasket comes as an added advantage. The thick rubber gasket captures the cold air inside the Frosty cooler so you get a high ice retention period. Non-Slip Feet – The other notable feature is Non-Slip feet so that your cooler does not slide and stay at one place whether you carry it in your vehicle or attach it to your boat. Integrated Lock System – With the integrated Lock System, your contents such as food, beverages are 100 percent safe since the Integrated Lock System prevents the entry of any harmful elements inside the Frosty Cooler. Side Handles – Frosty coolers come with the molded side handles. This helps the people to easily lift the cooler and feel no weight. Moreover, these handles are unbreakable. We are now familiar with the Frosty Hard Sided Coolers. It’s time to find out how these frosty ice chests differ from each other. The table drawn below will help you find the most suitable coolers according to your needs. Strength and Durability – We have already talked about the Strength and Durability factor. Rotomolded Construction gives great strength to the Frosty Ice Chests. Further, there are many other extend their help to survive the normal wear and tear. The factor that must not be ignored is about the warranty. While the high and top notch brands are providing like 3 years or 4 years warranty and some of the brands have always got your back by providing a Lifetime warranty. In this case, the warranty provided by Frosty got us underwhelmed. With only 1 year of warranty provided, this situation gets us a bit terrible. Economical – Considering from the point of Price, the cost of Frosty Price remains unbeaten. While the other premium brands charge more price for the same specifications, Frosty has kept this thing in mind. Focussing on the normal customers who do not have much disposable income, they can now grab the coolers at a really effective price. Ice Retention Period – The most basic feature in any cooler whether it’s frosty or any brand is the ice life. We have already talked about the ice life of all the Frosty Coolers which was pretty amazing. It’s hard to get such ice retention period when you do not want to break the ice. As stated by Frosty, the Frosty Coolers can give up to 10 days of Ice retention. The Frosty Ice chests are competitive and the rivalry is sure to be intensified. We have hardly seen any brand with such a capacity to hold ice under such price range. Frosty brags about the simplicity it offers while keeping the prices much cheaper than the rest. We have already talked about the Ice retention of Frosty Ice chest, may it be, Frosty 25, Frosty 35, Frosty 45, Frosty 55, Frosty 65, Frosty 75, Frosty 85, and Frosty 120. What we found was quite astonishing and left us in awe. We are really impressed by the ice retaining capacity of Frosty Coolers. Our Frosty Ice chest Review – Another thing that is most sought after is the durability, toughness, and strength. The frosty ice chest has rotomolded construction. The presence of Rotomold construction gives the cooler another level of Strength and durability. Not only the toughness, but the Frosty Coolers also give higher insulation period because of Rotomold Construction. The Frosty Coolers can easily handle wear and tear, normal accident or whether you kick it hard, they are indestructible. What’s more important to know that they are some other parts that further shield the Frosty Ice chests from being damaged. Parts such as Rubber Gasket, Latch have a great build quality and thus, they help in giving great strength to the Frosty Coolers. Being a new and competitive entrant in the Cooler industry, Let’s find out can the rivalry be intensified with other competitive Brands. There are many natural factors that play an important role in retaining the Ice Life inside the Frosty Cooler. You can get a great ice-retention period if you fill your Frosty cooler up to the brim and least open it. On the other hand, if you open your cooler constantly, hardly the cooler will live up to your expectations. Frosty claims to offer the ice retention of maximum 10 days. Let’s check out if the statement made by Frosty itself is relevant or justified. Frosty 25 can retain the ice for 40-60 hours. Frosty 35’s Ice retention ranges from 48 to 70 hour. For the Frosty 45, we got the ice retention between 55 to 80 hours. Frosty 55 can provide the ice life between 65 hours to 95 hours. We can expect 85 to 130 hours of range from the Frosty 65 Cooler. Frosty 75 Cooler delivers up to 85 hours to 130 hours and keeps your content cold. Frosty 85 can retain the ice for up to 145 hours depending on the climatic conditions. The list is topped by the Frosty 120 whose ice retention ranges up to 185 hours. From the result, it can be concluded that the Ice retention period of even smaller Frosty Cooler is quite amazing and you can get the ice retention period for 3 days when you own a Frosty 25 Cooler. As claimed by the Frosty itself, the Frosty cooler can deliver up to 10 days of Ice retention and you get what you had put inside the Frosty Cooler. Depending upon the Climatic Conditions, Frosty 120 can actually keep the ice for 10 days. With that said, Frosty has done something daring in this sector. As a new entrant in the cooler market, it has kept those things in mind where most of the other brands have failed. Under such price range, it hard to find a cooler that has the strong build quality and at the same time gives you a higher insulation period. So, if you are looking for a simple, sober and economical cooler than just satisfy your need of keeping your food and beverages cold, Nothing beats the quality of the Frosty Coolers. Our Frosty Coolers Review will definitely help you in selecting the right choice. We would love to hear more from you. Get in touch with us anytime you want. Previous post: Orion Coolers Review – Is Striking The Deal Fair Enough?